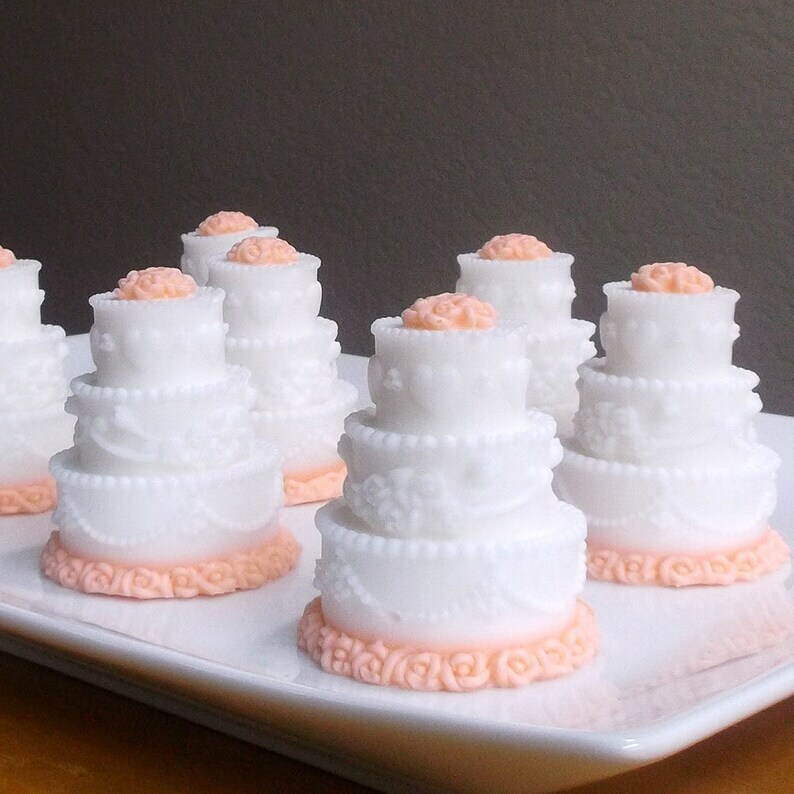 Unique wedding favors look just like miniature wedding cakes. These pretty wedding cake soap favors make perfect bridal shower favors, bridal shower gifts, and wedding favors. Wedding cake bridal shower soap favors are unique, will add to your decor, and are sure to be a hit at your event. Includes favor tags. Scented with wedding cake; rich, creamy vanilla and cake. Your choice of color. Choose from drop down menu. These are adorable and will make the perfect hostess gift for her shower! Thanks so much!